This fantastic page has a nice selection of free henna designs that you can print out. You’ll also find printable henna instructions, design templates, and free henna signage. This sections talks about specific henna products offered and includes insights on how they are best used. Here you can learn about any classes or workshops we have on the horizon. 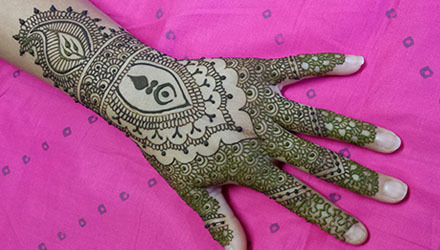 We generally offer a round of hands-on henna workshops in Orlando, once a quarter. Henna classes are limited to only 12 people a class! These henna workshops are professionally organized and taught. They range from beginner appropriate to professional artist caliper classes. Below are samples of Instagram pictures and some of our Monthly Mendhi Mayhem free henna designs are mixed into the pictures. You can find all our free henna design downloads at The Henna Learning Center Free Downloads page.